PAYMILL, the most dependable payment service provider in Europe, starts its cooperation with Commerce Guys, the innovative E-Commerce company delivering products, solutions and services for Drupal, today. 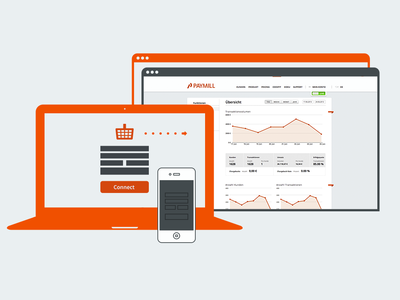 PAYMILL, which already services other powerful online platforms such as Shopify, will make the checkout processes at each online store very smooth and easy. The intuitive developer-friendly API, the rapid on-boarding process, the highest security standards, the broad offer of more than 100 currencies, and the transparent pricing, all combined with comprehensive and friendly customer service sets PAYMILL apart from other online payment solutions. PAYMILL is the first provider to have brought this simple, user friendly technical solution to Europe. Featured in Gartner Inc.’s Cool Vendors in E-Commerce 2012 and 2013 reports, Commerce Guys is the creator of Drupal Commerce, one of the fastest growing eCommerce solutions with over 30,000 active sites worldwide. Drupal Commerce is a revolutionary software integrating commerce, content and community to create engaging Web experiences that bring e-retailers more traffic to drive more commerce. Commerce Guys technology and expertise provides online merchants with the powerful, responsive and innovative eCommerce solutions they need to thrive. Visit at www.commerceguys.com. Follow on Twitter (@commerceguys) and Facebook (https://www.facebook.com/commerceguys). Be a part of the movement at Drupalcommerce.org.